New British Wedding Cake Traditions - British love their traditions, but even these evolve over time into more spectacular renditions. Such is the case of the wedding cake, which started from humble roots to achieve immortal standing as one of the highlights of a modern luxury wedding. 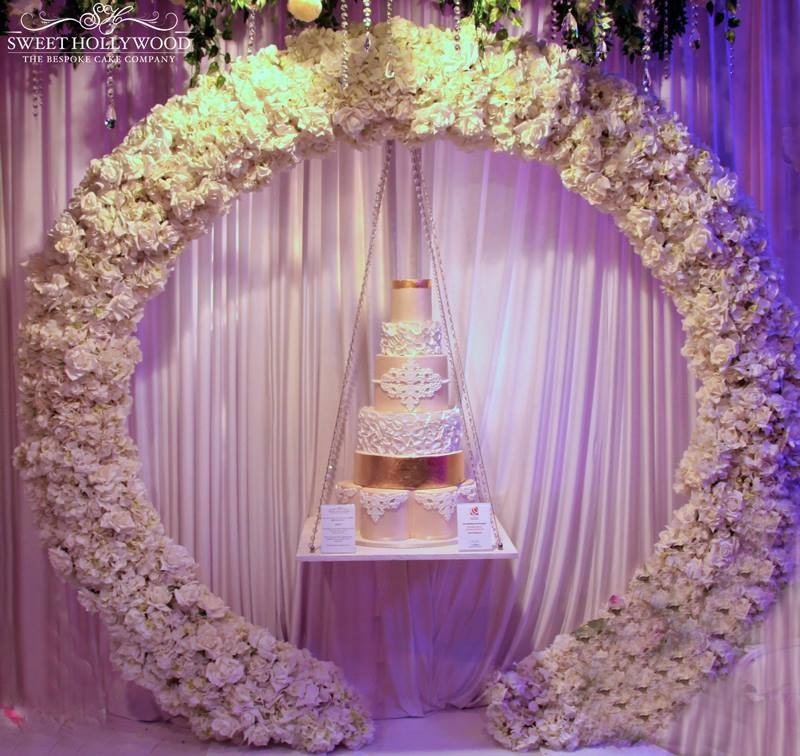 More modern versions of the wedding cake no longer even resemble the small 3-tiered version of the past. Instead, they can come in designs as eclectic as the couples who purchase them, ranging from art decoration pieces of art to sculptures of magnificent artistic appeal. It’s simply up the bride and groom now as to what they want to do for their wedding cake. The choices are almost endless now, but at one point they were far simpler. In the past, British couples may have had only a three-tiered fruit cake as their wedding cake. They would not have even eaten the top tier, which would have been saved and stored in a tin to be eaten on the occasion of the baptism of the happy couple’s first child. For that reason, this top tier was often referred to as the christening cake. This is just one of the many British traditions that have shaped and moulded cakes for centuries in London. Another beautiful tradition was to have more than one cake. One was for the bride and the other for the groom. The groom’s cake, as it came to be known, was primarily also a fruit cake. However, one is more likely to see chocolate groom’s cakes now more than anything else. It’s probably the only time the groom will get to choose anything to do with the wedding, so this tradition still remains popular today. Wedding cakes have grown bigger and bolder since their earlier roots of fruit cake. Wedding cakes in London are now luxury bridal accessories almost as important and expensive as the diamond ring that sealed the deal. It’s a rare wedding now that would only have a 3-tiered cake or even make it only a fruit cake. 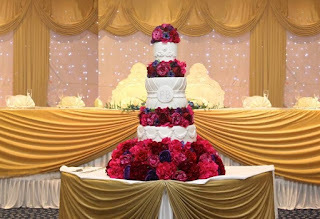 Wedding cakes are extremely important visually and must make a good impact in photos taken when the bride and groom cut their first piece of cake together as husband and wife. In an age where the selfie is an iconic means of self-expression, the wedding cake design better be up to the task as well. 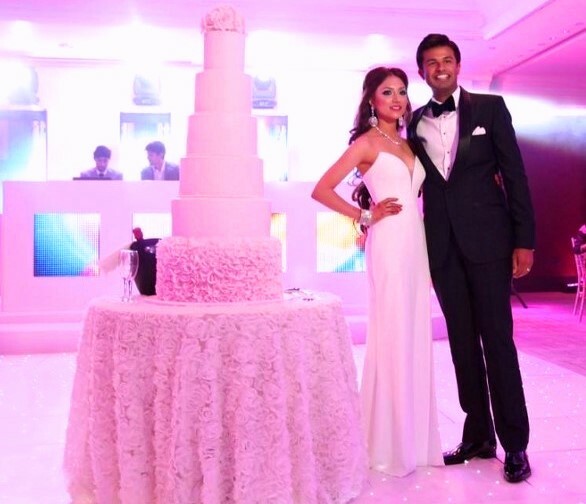 To see the real evolution in wedding cake design, one can take a look at what celebrity stars are doing for their own weddings. There you will probably catch a glimpse of monstrous cakes that sometimes need to be disassembled and reassembled to get them through hotel doorways. Despite their large size, they don’t lack in fashion taste. 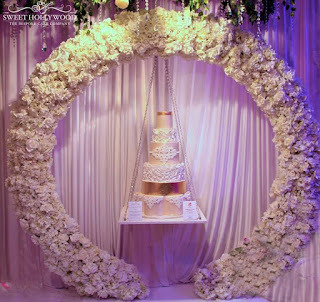 They will come decorated with crystallised or natural, edible flowers as well as edible diamond-like and golden accents. Wedding cakes can come in any flavour, these days, from a traditional cake with royal icing to carrot cake and butter cream frosting. Some couples will have cake in more than one flavours by making each tier something different. This provides more choice for their guests. 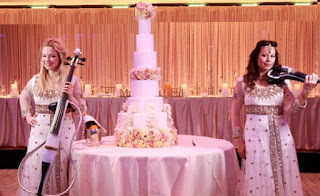 One can also still attend a wedding where there is both a bride’s and a groom’s cake. 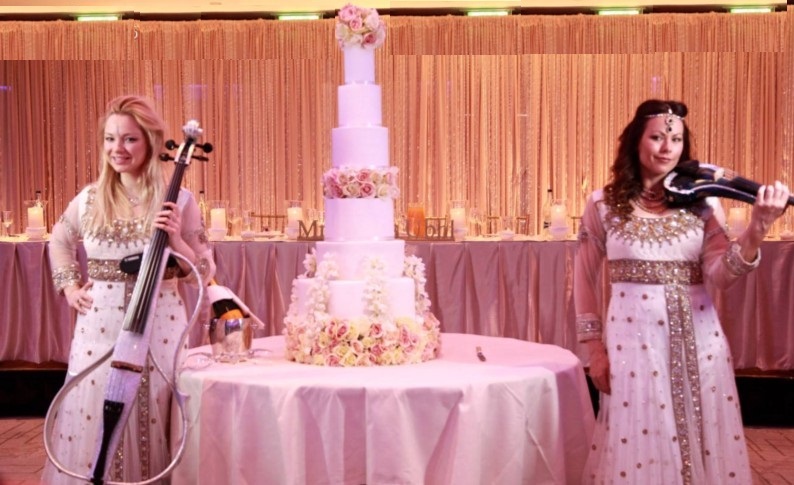 Luxury wedding cakes in London , like those created by Sweet Hollywood, can run the gamut of traditional white cakes and elegant Asian-themed tiered cakes to create sculptures that capture the mood of the occasion. Contact them to find out how to make your wedding special. 0 Response to "New British Wedding Cake Traditions"